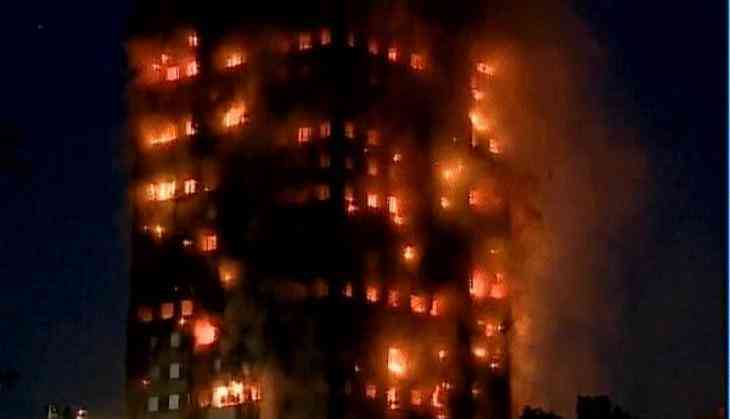 At least six persons have been confirmed as dead following Wednesday's heavy fire that engulfed a tower block in west London. Commander Stuart Cundy, from the Metropolitan Police, said: "Our thoughts are with everyone involved in this truly shocking fire at Grenfell Tower. I can confirm six fatalities at this time, but this figure is likely to rise during what will be a complex recovery operation over a number of days. Many others are receiving medical care." "Over 100 of our medics are working hard to respond to this incident, including ambulance crews, advanced paramedics, advanced trauma teams from London's Air Ambulance and those staff managing the incident in our special operations centre. In addition, our hazardous area response teams are also on scene," the statement added. A deal between Northern Ireland's Democratic Unionist Party (DUP) and British Prime Minister Theresa May's Conservatives to keep her in power could be delayed until next week, after this fire incident. The Conservatives' 318 MPs and the DUP's 10 MPs could together command more than the 326 votes needed for an absolute majority in the House of Commons.